Sleek and elegant, this watch is the perfect union of form and function. Shown in stainless steel with a black guilloché designed dial. 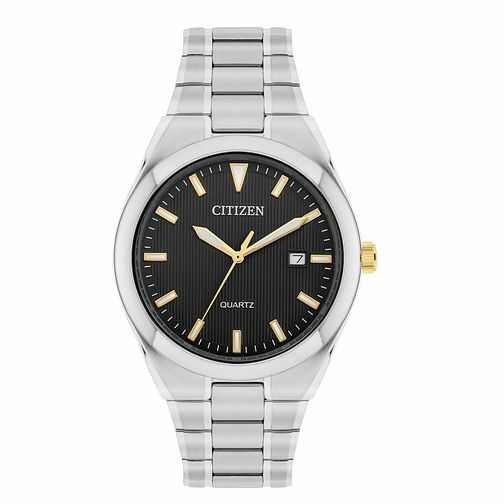 Citizen Men's Stainless Steel Bracelet Watch is rated 5.0 out of 5 by 4. Rated 5 out of 5 by Anonymous from Lovely watch, great price Bought for my 17 year old son. Arrived really quickly and easily made smaller by the local H Samuel store. He is really pleased with it, classic style and excellent price - very happy with purchase.